Hakirah vol. 9 is now on sale! I have two articles in this volume. One is an exchange between R. Saul Zucker and myself on the topic of whether Rashi was a corporealist, following my original article on the topic (now available for free online). The other is the sequel to my article on Rashi, titled after Rav Elyashiv's famous line, "They Could Say It, We Cannot," discussing how to relate to views found in the Rishonim that are now considered heretical, as well as how in general to understand the notion of heresy. The articles will only be available in their entirety online in about six months, when the next volume of Hakirah is released. In the meanwhile, I recommend that people buy the print edition of Hakirah - it's a great journal, you get to read the articles right now instead of waiting six months, and articles are always easier to read in a printed and bound volume than in a PDF (unless you are lucky enough to have a Kindle DX). Dear R. Natan; Congratulations on your outstanding article, which I consider "megalgalin zchut al yedei zachai". When your article first appeared last winter, I must admit that it did not come as any chiddush to me, but it was well-presented and I gave your article a Friday night presentation in a local Charedei Flatbush shtieble, attended by 125 learned baalei-batim who were for the most part somewhat receptive. It was only from following the subsequent brouhaha that I realized the vicious nature of even non-Chareidi types when their inability to view matters objectively is exposed. I have taught a daf-yomi for many years and have been convinced for some time that Rashi's Talmudic commentary even more so than his peirush on Chumash show him to be a through and through corporealist. I've even pointed this out to my Shabbos afternoon chaburah for many years. Then Lorberbaum and Friedman articulated it for academic-types and now you've made it part of the intellectual landscape. Many thanks for all your brave efforts on behalf of intellectual integrity. May Hashem continue to strengthen your hand against all your detractors. Is the Hakirah volume available right now? I contacted Hakirah through their website, and they said that it wouldn't be available until the end of this week or the beginning of next week. Do you know of a place that I can get it today or tomorrow? Thanks so much. Does this Rav still learn Rashi? Is he considering becoming a corporealist? Sorry, but I still don't get the point of this discussion. If we realize today that corporealism is ridiculous, how can we still take Rashi seriously if that is what he believed? Avi - maybe I jumped the gun and it's not off the press yet. I haven't received my copy yet! The website people would know best. Ephraim - no offense, but it's exactly attitudes like yours which make people incapable of analyzing the arguments objectively. Yes, this rabbi does still learn Rashi. No, he is no considering becoming a corporealist. The point is that it is incorrect to say that corporealism is *ridiculous. * To modern ears it sounds that way, but that is not how it sounded in 11th century France. It's quite obvious to everyone that Rashi was extremely intelligent and learned. Likewise, while you and I do not believe in demons, it is wrong to say that it was always a "ridiculous" belief. In ancient times, it was a very reasonable belief. Your attitude is the same as those who say that if Chazal believed in scientific fact X, and we now know that it is not true, then it means that Chazal were "stupid." No, it doesn't! As for the reason why I think the issue of Rashi's corporealism is important to discuss - aside from helping us understand Rashi, it forces us to confront the question of how one defines heresy - which is the subject of my other essay in Hakirah. "Crushed" - I didn't post your comment because I think you might be a troll. If you are not, email me. The point is that it is incorrect to say that corporealism is *ridiculous. * To modern ears it sounds that way, but that is not how it sounded in 11th century France. I understood this, but to me this only makes things worse. If we don't want to throw out everything pre-modern (which means practically all of our classical sources), we need some way to translate their ideas into something we can respect. Using a term like 'corporealist', which really does seem bizarre to anyone today (including the most right-wing Haredim), makes the subject practically unapproachable. I don't claim to have an answer, but my problem is real, and if you minimize it, I think you are putting yourself in a very difficult position. >. If we realize today that corporealism is ridiculous, how can we still take Rashi seriously if that is what he believed? >If we don't want to throw out everything pre-modern (which means practically all of our classical sources), we need some way to translate their ideas into something we can respect. It's actually very healthy to realize that you can take people seriously even if they believe things you feel are ridiculous. I think your second comment is very unfortunate. You're essentially suggesting that we are too immature to respect anyone who thinks in a way different from us, and therefore this is a mandate to distort their views. I can't decide which is more unfortunate. And perhaps we shouldn't take Newton seriously because he believed in alchemy?! Regarding Rashi and the surmise that he may have been a corporealist -- I've only read part of the discussion posted on this site, but presently I don't think the arguments are convincing. I think it is important to bear in mind that the approach of Rashi in his commentary on Chumash, as explained many times by the late Lubavitcher Rebbe, zt"l, was that he composed it for beginners, i.e., for children on the level of "ben Heh l'mikra," to help them understand scripture on their level. When these children grew up and were capable of understanding higher levels, they could be presented with other explanations from other commentators more suited to their growing intellect. It should come as no surprise then that on the Chumash Rashi does not go into deep philosophic discourses, and does not clearly negate corporeality. There is nothing really upsetting about a child conceiving of G-d as having a "body." When he grows older and can understand spirituality this initial incorrect idea will be corrected. For comparison - R' Slifkin blogged, on Sunday, October 18, 2009, "My Daughter's Parashah Picture" - "So my daughter, age 6 1/2, comes home from her Chardal school with a parashah picture for Bereishis, depicting Adam HaRishon in Gan Eden. Now, I'm not going to start making trouble about the real meaning of the story, because the pshat level has meaning and the real meaning is not suited to a six-year-old. But what bothered me intensely was how they depicted Adam. He was wearing some kind of kapotteh (even though the picture was pre-sin), a huge kippah (even though he was not Jewish), he had a long beard (even though he's supposed to be only 20 years old) and he had long chassidishe peyos!..." Certainly whoever drew and distributed the picture knows that Adam in Gan Eden never wore a kapotteh. Nevertheless they had reasons for depicting Adam this way for children. To try to argue based on this picture that the yeshiva administration indeed believes that Adam wore a kapotteh is ridiculous and nonsensical. How much more so regarding Rashi's interpretation, especially since the major arguments seem to be based on the fact that Rashi did not take the trouble to categorically rule out the possibility of G-d having a body. However, for a beginner, a child, for whom Rashi was primarily writing, this would not be an issue. That being the case, Rashi did not elaborate on the idea, not because he was a corporealist, but because he didn't think this was an important distinction for a five year old beginner. "the major arguments seem to be based on the fact that Rashi did not take the trouble to categorically rule out the possibility of G-d having a body"
That's an incorrect understanding of the major argument. Rashi DOES in some contexts take the trouble to categorically rule out the possibility of G-d having a certain KIND of body. Why don't you read the article? To satart I would like to say that I think your arguments make a lot of sense. There are times that Rashi elaborates, particularly when it limits God in any way. When it comes to corporealism he does no such thing. Based on this You made the argument that it is highly possible that Rashi was a corporealist. I understand this, but it could also be that Rashi did not consider corprealism something that limits God in any way, Therefore theres no need to elaborate. Rashi was just not as adamant about it as Rambam and others,but he did not neccesarily believe in it. In fact, it is also possible that when it fit into a particular peshat he used it to explain the idea. To say he was completely unbothered by the notion of corpealism is not the same as saying that he believed it to be true. The more I think about (read) Tanak with an adults critical eye the more convinced I am that HaShem has corpreal aspects. There can be little doubt that the G-d of Chumash is emotional. Two aspects of the description of HaShem stand out to me as corpreal in nature. One you, Rav Slifkin, dealt with, albeit (I think) incompletely, in your original article. The other I think has not been addressed. The whole story in ki Tisa (Shmot 33) begs for us to understand that HaShem has a real physical nature. While I believe that you addressed this incident in part in your article, I think that you neglected to mention that RASHI, citing the Talmud, emphatically tells us that we learn hilchot Tefillin from the fact that Moshe saw the knot of Hashem's Tefillin from behind. However, I wonder also about both HaShem and Moshe being able to reason with HaShem, and actually convince HaShem that his (HaShem's) intentions do not reflect well on HaShem. The ability to reason with HaShem strikes me as requiring a psychological profile and an ability to shift weight in judgement, all of which, if I understand your description of corprealism are corpreal characteristics. it could also be that Rashi did not consider corprealism something that limits God in any way, Therefore theres no need to elaborate. You didn't test your theory against all the places where Rashi explains it as being non-literal. It doesn't work. To all those who have responded here with an assumption that Rashi may indeed have been a corporealist, why don't you wait until you see the new Hakirah issue. After having read all the earlier discussions on this website, I would suggest that upon seeing R. Zucker's article, it is indeed likely that we will be convinced that Rashi was in fact not a corporealist at all. Well, the maggid shiur quoted in the blog post apparently felt that Rabbi Zucker was not convincing at all. I wonder what the difference is between someone who finds R. Zucker's claim convincing and someone who finds R. Slifkin's claim convincing? That may be true, but it does not prove that the attitude itself is wrong. No one needs to "take Newton seriously"; his ideas stand on their own. No matter what weird things we find out about Newton the person, our relationship to his thought is not affected at all. An average calculus textbook has perhaps a cursory mention that the subject was invented by a fellow by the name of Newton. The rest of the book is based on proofs. Physics is more empirical, but still not based on anyone's authority. How does this relate at all to Judaism, the ultimate tradition-based religion? I think this is the big difference between science and religion. I know the Rambam tried to present Judaism as a form of scientific thought, and he failed miserably. The best proof of that is the existence of so many Maimonider Chassidim, both in academia and elsewhere. It's actually very healthy to realize that you can take people seriously even if they believe things you feel are ridiculous. The point here is not respect for Rashi (or anyone else) as a person, but as a very central authority in Judaism. Rashi doesn't need my respect, especially since he has been dead for 900 years. I need to be able to study Rashi's thought seriously, and that is very difficult if I understand him to believe in what is to me practically a different religion than what Jews today believe in, for whatever reasons. I think your second comment is very unfortunate. You're essentially suggesting that we are too immature to respect anyone who thinks in a way different from us, and therefore this is a mandate to distort their views. I can't decide which is more unfortunate. >I think it is important to bear in mind that the approach of Rashi in his commentary on Chumash, as explained many times by the late Lubavitcher Rebbe, zt"l, was that he composed it for beginners, i.e., for children on the level of "ben Heh l'mikra," to help them understand scripture on their level. That's a difficult impression to sustain. It is possible, al pi derash, to say that Rashi *even* had the 5 year old in mind, but much of his pirush is too technical for a 5 year old. In addition, the basis for the idea is ben chamesh le-mikra. Mikra is more than Chumash, and certainly Rashi on other books are much, much more difficult. Can anyone think that Rashi on Tehillim is written for a 5 year old to understand? All of that said, you are absolutely right to dispute Slifkin on interprative grounds, and not on the grounds that Rashi couldn't have because -- he couldn't have! >No one needs to "take Newton seriously"; his ideas stand on their own. No matter what weird things we find out about Newton the person, our relationship to his thought is not affected at all. >The point here is not respect for Rashi (or anyone else) as a person, but as a very central authority in Judaism. Rashi doesn't need my respect, especially since he has been dead for 900 years. I need to be able to study Rashi's thought seriously, and that is very difficult if I understand him to believe in what is to me practically a different religion than what Jews today believe in, for whatever reasons. Did you ever consider that maybe this is your chisaron? I can respect him as a person regardless of what he believed. So why are you right and I'm wrong? I expect people who lived 1000 years ago to believe things I cannot. The fact that Rashi, for example, believed in mermaids or sirens is not a crisis of faith for me. Why should his belief in them, something to be expected of men living 1000 years ago, compel one to either themselves believe in mermaids, or reinterpret Rashi as not really believing in mermaids, or else compel one to have no respect for him as a person? I don't understand why one should not be capable of personally respecting a person who given the circumstances of his time and place believed things which are not true. We are not at the perfect moment of human intellectual development either, and in 1000 years we have reason to believe that our descendants will also see clearly some of the fallacies in our thinking. So what? My suggestion is to work on realigning yourself, not Rashi. Look, I'll admit that what you are talking about is not completely nuts. It's a traumatic process that, I'm afraid to say, many go through. The first time I was confronted with the fact that Chazal believed in the reality of spontaneous generation my instinct was to assume that they absolutely did not, and somehow those words needed to be interpreted differently. This is because I was already the sort who assumed that if it has been demonstrated to the satisfaction of modern science that spontaneous generation isn't real, then it cannot be what Chazal really believed. Other people are a different sort, and are not predisposed to assume that modern science can generally be trusted when it feels it has proven something and so their instinct is not to try to reinterpret Chazal, but to just assert that Chazal were right and science is wrong. Neither of these options, in my opinion, are worthy of sustaining in the long run. Far better to wake oneself up and realize that you cannot judge a man from 1000 years ago by your experiences and standards. Rashi was clearly an intellectual powerhouse, and had personally admirable qualities, and nothing changes that, not even if he had beliefs about Judaism that a subsequent thousand years of thinking and writing make it impossible for you to share. Ultimately no one can share all theological beliefs of all great rabbis, and we just have to learn to deal with it. 2) So G’d has no body. We’re sure of that. Justa wondering….Does Hashem have a voice? Why isn’t that at least almost equally incomprehensible? Yet we seem to take literally hearing the first two dibrot mi’pi ha’gevurah. Audiorealism is alive and well into the twenty first century. Did you ever consider that maybe this is your chisaron? I can respect him as a person regardless of what he believed. I'm not sure I can respond to your whole long comment, but I can see clearly that you are talking to a straw man, not to me. I do respect Rashi as a person "regardless of what he believed", and I do understand that "his perushim are great because they are great", but none of this is the point. The point, as I thought I made clear, is the issue of religious authority, and to me it is obvious that there are some core ideas which define Judaism for any person, and someone whose thought about those ideas doesn't fit at all with mine cannot be an authority for me. I know that I have many chisronot, most of which you are not acquainted with, but I do not think that wanting to have some kind of consistent concept of Jewish tradition is among them. >I know that I have many chisronot, most of which you are not acquainted with, but I do not think that wanting to have some kind of consistent concept of Jewish tradition is among them. First of all, I didn't mean to be insulting and I hope you didn't take it that way. If so, I am sorry for that. But as I said, isn't that your personal problem? The fact is that theologically, if not halachically, speaking the greatest sages of Jewish history do not agree in all particulars. Is every leaf that falls guided by God's supervision? That's affirmed and denied. What about God's supervision of humans? That is affirmed by all, but some feel that only humans who perfected their intellect are worthy of and receive such providence. Everyone else (ie, most people) are just so many aimless leaves falling off trees. What about that? Consistency is nice, maybe it's even a desideratum, but that doesn't mean it really is their to the degree you'd like. Perhaps you will agree that they really disagree in only minor points, but corporealism is a major point. But isn't that a little bit subjective? Let's say that Kabbalah does nothing for me. Well, since Kabbalah turns up around 800 years ago and nearly all rabbinic authorities since that time accepted Kabbalah, does that mean that rabbinic religious authority must therefore end for me around the time of the Ramban? In any event, the question of whether Rashi was likely a corporealist or not is to be determined by proofs and arguments, not the earthquake that its conclusion may cause for individuals who profess that a positive determination means that Rashi must then be, for him, another Isaac Newton or Aquinas. In other words: you have to work it out. Maybe Rabbi Slifkin is wrong, and you can avoid the problem entirely. But if he's right, it's just the way the chips fall. Ephraim, since when does anyone use Rashi as a theological authority? We use him as a parshan. I never disagreed with that. Rashi comments: “My hand”—An actual hand (yad mamash), with which to smite them. -- it still would NOT be an indication that Rashi himself held "corporealistic” beliefs. The reason for this is because it has to be borne in mind that what Rashi states in his commentary is primarily what he wants to explain to a child on a beginner's level (yes, of course there is PLENTY in his commentary for adults as well), and if there is one thing that a child understands it's the meaning of "An actual hand with which to smite..."
Let’s face it, even the Rambam who formulated these fundamental Ikrim about Hashem’s Oneness and Incorporeality would surely admit that a young Jewish child’s initial conception of Hashem is as some Physical Being. Physicality is all a child understands. However, it is also possible, and perhaps even more likely, that by the time the child gets to Cheder and starts learning Chumash with Rashi, his parents have already taught him the basics, including that Hashem does not have a body, neither physical or spiritual. I think that Rashi does affirm this in a number of places in his commentary, which uproots the entire theory that he could have been a corporealist. “And Hashem Elokim took the man and He place him in the Garden of Eden to work it and to guard it” (Beraishis 2:15). What was troubling Rashi that caused him to make this comment? It is likely that the normal meaning of “take” is to take with a physical movement of a hand, and Rashi is indicating that it is impossible to say this about Hashem, and therefore he interprets that Hashem’s “taking” of Adam was with words, by speaking to him and persuading him to enter Gan Eden. Thus this comment clearly tends to underscore the incorporeality of Hashem. You didn't actually read my article, right? What makes you think I did not read your article in Hakirah? (Sorry I spelled the name of the journal wrong before.) In fact I read most of it twice, and also a great amount of the comments on your blog that followed. I'll admit my concentration may have waned at some critical point, but why do you think I didn't read it at all? I look forward to reading your follow up article in Hakirah, however I do not have access to it at the present time. The Rebbe zt”l explained that Rashi’s commentary was meant to be learned in order, starting with Beraishis, and that generally the child was expected to remember the comments as he went along. He will not reach Nevi’im and Kesuvim until he has already finished Chumash. The Rebbe zt”l explained that on the Chumash Rashi’s commentary is more built on “peshuto shel mikra” than in his commentary on Nevi’im and Kesuvim (and how much more so on Shas); the reason given being that by the time the child reaches these Seforim he has already grown a bit older and through his learning he has also become much wiser. "Child's View" (you know, an actual name would be very helpful!) - the reason why I asked if you read my article is that I think that if you evaluate your theory in light of all the citations of Rashi that I brought, as well as the context in France, you will see that your theory does not work. To give an example - according to your theory, why does Rashi need to say that "the breath of God's nostrils" is not literal? And how can Rashi assume that a child has already been taught that God is not corporeal, when there were adults and even scholars in France/ Germany who believed this? "how can Rashi assume that a child has already been taught that God is not corporeal, when there were adults and even scholars in France/ Germany who believed this?" Could you please name ONE Torah scholar in France/Germany who lived either before or during Rashi's time and who believed in corporealism? I don't mean unnamed people about whom we know nothing - they might have been "regular shul rabbis" or "great scholars" - we wouldn't know which, if they are unnamed. I mean, can you NAME a great scholar during or before Rashi's time with this belief? To my knowledge there aren't ANY. In my (second) article I name five who lived after Rashi's time, and I explain why there would have been even more during Rashi's time. I also cite various Rishonim who attest to "great Torah scholars" in France that were corporealists. So the bottom line is that you cannot name even one who lived in France/Germany during or before Rashi's time - is that correct? As I explain in my article, it is more significant to name those who lived after Rashi's time than during. But as it happens, I can name one during Rashi's time - his student, R. Yaakov b. Shimshon. Incidentally, I have a question for you. Could you please name ONE of Chazal who was not a corporealist? I think that your citing of Rav Yaakov, Rashi's student, is problematic for two reasons: I remember learning years ago from Professor Ephraim Urbach that there are different girsaot regarding Rav Yaakov's reference to "G-d's tzelem" which render an interpretation of Rav Yaakov's view inherently inconclusive, so citing him as an example is misleading; and at any event Rashi's student's view is not a compelling case as to something that would influence his master. Re: your question to me, please define "Chazal" and please explain why your question is relevant to what I had written, other than it simply being a case of "I'll ask you what you asked me." I know it's what he taught. I wasn't disputing that. I guess you can say that you have an approach to the question of whether Rashi was a corporealist within the Lubavitcher Rebbe's system. Unless someone finds this teaching likely (and I confess that I haven't met a non-Lubavitcher who did) then the approach doesn't work. It might be a good intellectual exercise to work with his premise, see if the corporealist argument can be sustained within it or not, as you have tried to show that it does not. But without accepting the premise the argument doesn't work. 1. There are different girsaot, but the consensus is that R. Moshe Taku's girsa is accurate. See my article for sources. 2. I was not suggesting that Rashi's student influenced his master. 3. By Chazal I mean Tannaim and Amoraim. Depending on what you answer, my question may or may not be relevant. But please answer. I'll try to reply to your last comment to me later tonight. I could write something off the cuff now, but out of respect to you (and your readers) I'll review your article once again before answering. I noted that instead of “seventy” students the quotation should read “eighty” students (30 + 30 + 20), and that the source is not Bava Basra 133, but rather Bava Basra 134a and Succah 28a. I also inquired about the Sefer “Avnei Miluim” (Warsaw 1900), by Rabbi Avraham Stein, from which you sited a very interesting idea. (This certainly is not the famous Sefer “Avnei Miluim.”) I’d still like to know more about this source if possible. In the article R’ Student mentions gedolim who lived before Rashi, including Rabban Chananel and Rav Saadia Goan, who were noncorporealists, and from the time of the Tannaim, Onkelos (whom you yourself mention several times in your article as consistently avoiding anthropomorphisms) and Josephus, who were likewise clearly noncorporealists. There was probably no opponent of anthropomorphism who is more famous than Onkelos the convert and translator of the Torah (first century). This Tanna, who was a student of R' Eliezer and R' Yehoshua, consistently took phrases in the Torah that give the appearance that G-d has a form and translated them otherwise. Throughout this Targum we see the "word of G-d" or "the seat of His glory" used to explain phrases that imply Divine corporeality. Another source from that period is Josephus (first century). In Against Apian (book 2 chapter 17) Josephus discussed extensively how the Jewish conception of G-d is of an almighty, all-powerful, and incomprehensible being who cannot be described much less seen. He spoke similarly in chapter 21 of that book and added that this is known to all Jews. This shows that not only did Josephus believe that G-d has no physical form, his Tannaitic contemporaries did as well. What we have seen is that there is no basis within Judaism to say that G-d has a physical form. Even the few who claimed that G-d could choose to appear in a physical form were roundly condemned as heretics. From the time of the Tannaim through the time of the Rambam, and certainly afterwards, the clearly dominant view was that G-d does not and cannot have a physical form. While there were undoubtedly many uneducated Jews who believed that G-d is physical, this view is and always has been heresy. In light of the above, it is even more difficult to accept that Rashi could have been a corporealist as you and others have theorized. …the reason why I asked if you read my article is that I think that if you evaluate your theory in light of all the citations of Rashi that I brought, as well as the context in France, you will see that your theory does not work. I reviewed your essay again, but still find that all of your citations, arguments and “evidences” are unconvincing in support of the hypothesis that Rashi was a corporealist. It is also difficult to accept claims that Jewish populations in “the context of France” or anywhere else could be rampant with corporealist belief. The sources for this that you cite need to be studied “in context” as well. As for Dr. Berger’s comment, of course it is possible that there were A FEW EXCEPTIONS to the traditional Jewish belief. But this idea of Hashem having a corporeal body was NEVER BELIEVED BY A MULTITUDE of our people. Many of my objections to your thesis are already discussed in the blogs. To give an example - according to your theory, why does Rashi need to say that "the breath of God's nostrils" is not literal? I don’t find anything unusual in Rashi explaining this expression! For Rashi, and for the Cheder student, it is obvious that the invisible Hashem doesn’t have a corporeal face, hand, eyes or nose. Rashi explains “when a person becomes angry, wind emerges from his nostrils” so that the student will understand why the Torah uses this expression. This is not brain surgery. What you see is what you get. And how can Rashi assume that a child has already been taught that God is not corporeal, when there were adults and even scholars in France/ Germany who believed this? There may have been a few Jews who believed Hashem to be corporeal -- as I quoted above from your citation of Drs. Kanarfogel and Berger -- but it does not appear to have been a major problem that Rashi needed to confront at every opportunity. In my opinion though Rashi did address the issue a number of times, and it is clear from his commentary that Hashem does NOT have a body! See Rashi to Yeshayahu 63:1, where he clearly writes that G-d does not have a body. Moshe- This isn't the place to rehash the entire set of arguments. Why don't you write a comprehensive rejoinder and submit it to Hakirah. But first please see my new article. I show that I was originally misunderstanding R. Kanarfogel - he was referring to a specific time period. I also bring extensive evidence to show that corporealism was not just held of by "a few Jews" but was indeed a major concern. En - thank you SO much for your citation, which I had missed previously because it is inexplicably lacking from the DBS database! It does not at all demonstrate that Rashi was not a corporealist; in fact, it support my arguments. Rashi is bothered here by the idea that God wears dirty clothing, and stresses that it is not literal. Again we see that when there is an anthropomorphism that does not fit with Rashi's view of God, he says so! And there's even more evidence from that Rashi - when he's explaining the concept of the Torah speaking in terms that are easy to understand, instead of saying that it is "just like everywhere that the Torah describes God in physical terms," he gives the example of the Torah likening God's power to the power of water. You thus compare a medieval belief in a corporeal god to a medieval belief in demons. You state that even though BOTH of these beliefs have, in modern times, been revealed as mistaken, we should not deem either belief ridiculous, given that they were very reasonable in medieval times. And yet R. Moshe Taku and others were corporealists. These sorts of logical proofs were devised by those involved in philosophy and were not used in France/ Germany. The fact that R. Moshe Taku and others maintained a belief in a corporeal god does not make such a belief any more logically consistent. As the Raavad points out, there were many great scholars who were misled by their reading of pesukim in Tanakh, concluding that god was corporeal. R. Moshe Taku and others were apparently some such scholars. (Either that, or the came up with the idea of a god that is able to take physical form on their own, independent of their reading of Tanakh.) In any case, the authority of these rabbis does not render the position logical. As Bahya ibn Paquda’s proof demonstrates, the idea remains illogical. Likewise, stating that the rabbis of Germany and France did not employ such logical proofs does not make a belief in a corporeal god any more inherently logically consistent. It simply means that, unfortunately, logics were not consulted. OK, I see what you are saying. Let me clarify what I meant by "reasonable." I meant "reasonable according to their cultural context." It's not reasonable to believe in demons today; it was reasonable to believe in them in medieval Europe. With regard to things that are proven wrong via philosophical proofs - if you have people, even extremely intelligent and learned people, who live in a culture where there is no engagement with philosophy, then it is understandable that such beliefs are held. I had a conversation with a friend who has a chareidi background and hashkafa. He referred me to a shiur by R' Akiva Tatz. In this shiur R' Tatz says that in truth God has a hand in a metaphysical sense, but not in a physical sense. This is in contrast with Rambam and others who feel that the Torah has necessary truths. They maintain that everything in the Torah must be literally true as well. He goes on to explain that all physicality is a mere reflection of the true metaphysical reality.This is similar to Neo-Platonism. Is it possible that Rashi along with R' Moshe Taku and others really subscribe to this view point, and not corporealism? 46 Louis Ginzberg, in “Anthropomorphism,” The Jewish Encyclopedia, argues that this proves that Rashi did not view angels as being corporeal, and thus could not have viewed God that way either. However, the fact that angels are not made of flesh and blood does not mean that they are not corporeal; as Rabbi Yosef de Trani explained, the view was that such beings are made out of an ethereal substance instead. See Shapiro, The Limits of Orthodox Theology, p. 57 note 68. However, your attribution of this view to Rashi is seen as radical and incredulous due to the fact that RASHI DOES NOT WRITE SUCH AN IDEA ANYWHERE! By the way, aside from what appears to be his introductory “shtus,” Ginzburg does provide in that article some useful information on the history and pervasiveness of the Jewish belief the incorporeality of G-d from the periods of the Anshei Knesses Hagedolah, the Septuagint, the Targumim, Tanaim, Goanim, and later Rabbis and philosophers up to and beyond the time of Rashi. Indeed, as you noted, it seems that Ginzburg was of the opinion that Rashi was absolutely in agreement with the mainstream Jewish position throughout the ages that G-d is totally incorporeal. All of this makes it even more “curious” – how are you able to ignore all of this EVIDENCE? I was wondering about the identity of the author of the "interesting email" you quoted in your original post - it seems you posted his words anonymously. Apparently he is a well known Magid Shiur in Flatbush from what he writes, however - "you know, an actual name would be very helpful!" Yeshivishe - I am familiar with that presentation by R. Tatz, which is taken from Rav Moshe Shapiro. In my article I raised it as possibility and explained why it doesn't work. Incidentally, one Rav told me that he felt this explanation is heretical; however you spin it, it's basically saying that God is composed of different parts. Moshe - I don't understand what you're saying. Is your point that Rashi does not anywhere say that God has a body? He doesn't need to - the Torah says it - but in any case, he does, as I note in my second article. Is your point that he doesn't say that this body is composed of an ethereal substance? He does, indirectly, by explaining all flesh-and-blood descriptions as metaphors. Re. the author of the email - I'll ask him if he minds me posting his name. Thank you for clearly expressing your lucid objections to the theory that Rashi subscribed to belief in G-d’s corporeality. You nicely noted the inherent logical differences between Chazal’s well documented belief in certain erroneous scientific principles, including spontaneous generation, demons and geocentrism, etc., where you concur one-hundred percent with Rabbi Slifkin, and the at best scantily documented (and as far as I’m concerned totally undocumented) supposition that Rashi believed in corporealism, where you disagree (also it seems one-hundred percent). I’m sure that many of the blog’s followers must feel the same way you do. How do you know that rashi maintains that God is physical as opposed to Rashi maintaing that God is incorporeal but that but that is not an Ikkar whereas God's not being weak etc is an ikkar, wouldnt this also explain why he only emphasizes the latter in his peirush? also maybe rashi didnt want to shake peoples belief in god so he didn't focus on incorporeality? Thank you for your clarification regarding your use of the term “reasonable.” I comprehend your meaning much better now. There is one thing, though, that I would like to further understand. We know that the Torah expresses God’s complete wisdom, and that its ideas are logically perfect. Since a corporealist position is illogical, Hashem's Torah could not maintain the existence of a corporeal god. What emerges, then, from saying that Rashi believed in a corporeal god, is that Rashi believed in a god whose existence the Torah denies (due to his cultural context). We know that Hashem prohibited us, in the Aseret Hadibrot, from believing in any deities other than Him. By default, you seem to have implied that Rashi believed in such a deity. Of course, this belief would be an aveirah beshogeg, not bemeizid. Do you, in fact, maintain this to be true? "Shades of" says he "didn't read R. Tatz's book, but I believe the following sources take the approach: R. Yosef Bloch(or perhaps his son) in Shiurei Daas, Shaloh and R. Gifter, the latter both quoted in the Artscroll Overview to Shir Hashirim(R. Gifter's comments there are in original Hebrew). I'm wondering if the rav that R' Slifkin mentioned would say that they're explanations are heretical, too. How do you know that rashi maintains that God is physical as opposed to Rashi maintaing that God is incorporeal but that but that is not an Ikkar whereas God's not being weak etc is an ikkar, wouldnt this also explain why he only emphasizes the latter in his peirush? That's what R. Zucker suggests in his article. In my response, I explain why this does not work - there are certain places where Rashi says it's not literal even though it has nothing to do with God being weak. also maybe rashi didnt want to shake peoples belief in god so he didn't focus on incorporeality? That would only counter some of the arguments, not all of them. I don't know where you get all this from. What do you mean that "it express God's complete wisdom"? What about its statements re. kidneys, motionless earth, etc.? The idea of Dibra Torah klashon bnei adam as expressed by the Rishonim and elaborated by the Acharonim means that the Torah clothes some of its messages in terms of concepts that are not true i.e. not logically perfect. No it doesn't. I don't know enough about logic, or about God, to be able to say that it is necessarily illogical for God to be corporeal. Maybe yes, maybe no. Obviously I don't believe that He is, though! "[From Rachelly Weiss:] How do you know that Rashi maintains that God is physical as opposed to Rashi maintaining that God is incorporeal but that is not an Ikkar whereas God's not being weak etc is an ikkar, wouldn't this also explain why he only emphasizes the latter in his peirush? [From Rabbi Slifkin:] That's what R. Zucker suggests in his article..."
I am writing just to point out to your readers that your formulation here of what I wrote in my article is a misrepresentation. I did not write about Rashi's concept of "Ikkar" and what might or might not be included within that concept (since Rashi himself never wrote about "Ikkarim"). I would urge the readers to ALWAYS check everything in the original source! Thanks so much, and warm wishes for a continued great year. I just meant vis-a-vis Rashi only speaking up in cases where it connotes a weakness on God's part. Thanks for your good wishes! "That's what R. Zucker suggests in his article. In my response, I explain why this does not work - there are certain places where Rashi says it's not literal even though it has nothing to do with God being weak." literally (later we will explore potential counterarguments). subject to human weaknesses such as exhaustion." If you have changed your mind or if I misunderstood the article what is your current explanation for the pattern in rashi's comments? Whatever that pattern is maybe rashi felt only those were fundamental but not God's incorporeality? "also maybe rashi didnt want to shake peoples belief in god so he didn't focus on incorporeality? That would only counter some of the arguments, not all of them." I later clarified that Rashi says that its not literal whenever it conflicts with his understanding of God. So, for example, when the Torah describes breath emerging from His nostrils, or Him wearing clothing, Rashi says that it's not literal. There's no connotation of weakness here, but it is not the correct description of God according to Rashi. Also, this means that your suggestion about not wanting to shake people's faith doesn't even work with the argument from silence. In my opinion, it is not enough for you to say "I don't know enough about logic, or about God, to be able to say that it is necessarily illogical for God to be corporeal. Maybe yes, maybe no." Of those sages who were corporealists, not one engaged the logical arguments/proofs of R. Bahya, Rambam, R. Saadya, etc. who demonstrated that a "corporeal God" is a logical oxymoron. Instead, the corporealists, to paraphrase Raavad, relied on their (mis)understanding of Torah shebichtav. None of them offered a counter-argument addressing the proofs of incorporeality. Now you claim that Rashi was a corporealist. OK, so we can understand WHY he would be one, assuming your assessment of his cultural context is correct (I don't think it is, but let's go with it for now). But the question still persists - is corporealism logically possible? What do you say about the latter question? If you say yes, it is logically possible, then please provide the logical basis to say so, addressing the proofs of R. Bahya et al. It is not enough to say, "well, R. Moshe Taku had to deal with that..." because in fact he never did deal with it; he relied only on psukim, ignoring the logical issue. If, on the other hand, you say no - corporealism cannot logically be true, then surely you understand that you are claiming Rashi to have been an oved avoda zara beshogeg throughout his adult life - it wasn't his fault, and according to Raavad he cannot be branded a heretic for that, since he merely followed his cultural context and relied on a misunderstanding of Torah shebichtav, but still, that's what it was - avoda zara beshogeg. I welcome your reaction to these points. (Levi Lachmi:) We know that the Torah expresses God’s complete wisdom, and that its ideas are logically perfect. Since a corporealist position is illogical, Hashem's Torah could not maintain the existence of a corporeal god. (Rabbi Slifkin:) I don't know where you get all this from. What do you mean that "it express God's complete wisdom"? What about its statements re. kidneys, motionless earth, etc.? The idea of Dibra Torah klashon bnei adam as expressed by the Rishonim and elaborated by the Acharonim means that the Torah clothes some of its messages in terms of concepts that are not true i.e. not logically perfect. You yourself note that when the Torah speaks of a motionless earth and of the kidneys as the seat of decision-making, it is “clothing its message.” This means that it is either expressing itself metaphorically, or expressing itself in terms of the science of the time, in order to better communicate an idea. Of course, you would agree, the Torah does NOT maintain that the earth is in reality motionless, or that the kidneys are in reality the seat of decision making. This is because it is out of the question that the Torah could maintain a false scientific fact, or a logical impossibility, to be true in reality (since the Torah is God’s complete wisdom). That last sentence is the point that I was making. Taking as a given that a corporeal god is an illogical phenomenon (as Bahya ibn Paquda demonstrates), Hashem’s Torah cannot maintain it to be extant in reality. That being said, Rashi would have been believing in a deity whose existence the Torah denies. This would be a violation of the Aseret Hadibrot. I don't know enough about logic, or about God, to be able to say that it is necessarily illogical for God to be corporeal. Maybe yes, maybe no. Obviously I don't believe that He is, though! As I mentioned earlier, we do know that Bahya ibn Paquda (in addition to others) presented a logical proof for the incorporeality of God. Is there a specific problem (or problems) that you have with the proof as presented by Bahya ibn Paquda, such that there is a doubt in your mind? (a) Bahya ibn Paquda’s proof is a valid one, meaning that the idea of a corporeal god is illogical. The Torah therefore cannot maintain that a corporeal god exists in reality, and Rashi’s purported belief violates the Aseret Hadibrot (as per my previous posts). (b) Bahya ibn Paquda’s proof of incorporeality is not a valid one. Nonetheless, even though Bahya ibn Paquda didn’t happen to succeed in proving that God is incorporeal, the Torah still maintains it to be true. Thus Rashi’s belief in a corporeal god violates the Aseret Hadibrot. (c) Bahya ibn Paquda’s proof of incorporeality is not a valid one. In fact, the Torah does not maintain that God is incorporeal; it rather maintains that he really is corporeal. The overwhelmingly accepted view of God that Klal Yisrael maintains today, including your own (“Obviously I don't believe that He is [corporeal], though!”), is wrong. Based on your premises regarding Rashi, one of these three possibilities must be true. Are you comfortable with this? “Hashem spoke to you from the midst of the fire; you heard the sound of words, but you did not see any image, only sound…. Be very careful for you lives, for you did not see any image on the day that Hashem spoke to you at Chorev from the midst of the fire” (Devorim 4:12–15). There is no Rashi on these verses, but there is no doubt about the meaning – Hashem is not corporeal. “‘U’mareh,’ this is a vision of the Word, for I explain My Word to him in the clearest manner possible, and I do not conceal it for him in riddles, in a manner as stated to Yechezkel, ‘Put forth a riddle, etc.” You might think that this refers to the appearance of the Divine Presence (Shechinah), therefore Scripture teaches (Shmos 33:20) “You are not able to see My face [inwardness = Shechinah]. ‘And he sees the image of Hashem,’ this is the appearance of the back, in a manner as stated (ibid., 33:23) ‘and you shall see My back’” [and on that verse Rashi explains it means that Hashem showed Moshe “the knot of Tefillin” (which is certainly not to be understood literally)]. I think that from these sources it is evident that in all places in the Torah where it states that anyone “saw” Hashem (or His “face,” “hand,” “foot,” etc. ), the meaning is clear: it was only in a dream, illusion, hallucination, flight of the imagination, or the Torah speaking in the language of man. Even for Moshe Rabbeinu such terminology only means that he saw and understood Hashem’s Word in a clear and precise manner. He could not possibly even see the “Shechinah,” which as is known, is a term denoting the lowest level of Divine revelation. This seems to be directly stated then in Rashi’s own words. If, on the other hand, you say no - corporealism cannot logically be true, then surely you understand that you are claiming Rashi to have been an oved avoda zara beshogeg throughout his adult life. According to whose definition? According to Rambam - yes, that's probably true. But few people today subscribe to his worldview in such areas. Have you read my article "They Can Say It, We Cannot"? Please stop saying that I would agree with that which I keep saying I do not agree with! You refer to Torah as though it is some sort of Being. It's not. It's a text. It doesn't "maintain beliefs." It presents ideas, messages, etc. 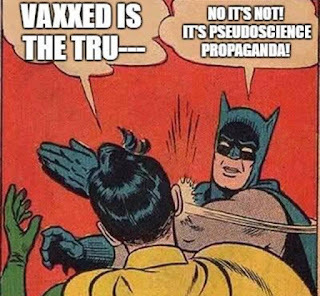 It presents false scientific facts, because they suit its purposes. I don't see any way in which it is meaningful to say that "the Torah does NOT maintain that the earth is in reality motionless, or that the kidneys are in reality the seat of decision making." Hashem doesn't believe that, but the Torah certainly presents that information. No. You are ignoring other possibilities, as per my previous comments. There is no violation of the aseres hadibros involved in corporeal beliefs (except according to Rambam). I think what you meant to say was that YOU have no doubt about them meaning this. Others, such as R. Moshe Taku and the other corporealists, interpreted it to mean that although God has form, we didn't see it. Do you think that they didn't know Chumash??!! What makes you so sure that Tefillin is not to be interpreted literally, according to Rashi? You're engaged in circular reasoning. "If, on the other hand, you say no - corporealism cannot logically be true, then surely you understand that you are claiming Rashi to have been an oved avoda zara beshogeg throughout his adult life. According to whose definition? According to Rambam - yes, that's probably true. But few people today subscribe to his worldview in such areas." I'm sorry for pressing the point here, but please correct me if I am wrong - isn't it the case that EVERYONE maintains that if I worship a deity other than Hashem, then I am an oved avoda zara? Now, in this case, if in reality corporealism is wrong, and I worship a corporeal deity, then I am not worshipping Hashem; I am worshipping another god. By whose definition would this NOT be avoda zara? True, as I pointed out in my earlier comment, this would not be heresy (except according to the Rambam) - it would be a case of shogeg, not my fault, since I did this out of "cultural context" (according to your premise) - but it WOULD be avoda zara beshogeg. Please provide the name of ANY member of Chazal, rishon, posek, etc. who say that worshipping a deity that is not Hashem would NOT be considered avoda zara (albeit shogeg). Very few people would maintain that if someone has the wrong conception of Hashem, then this means that they are worshiping a deity other than Hashem. It's very clear from how Ramban and Raavad etc. speak about corporealists that they did not consider them to be ovdei avodah zarah! I think that your comparison (a corporeal deity vs. a deity who does or doesn't support Zionism) is flawed. Corporealism goes to the nature of the existence of the deity whereas the Zionism issue goes to the "attributes" or "derech" of the deity. Further, what you infer from Ramban and Raavad doesn't seem to hold true. Raavad only said that corporealists, though absolutely wrong, cannot be deemed heretics, because their mistake was "innocent" - he does not comment about or imply that their mistake is not avoda zara beshogeg. Same with Ramban. From what you maintain, it would be possible for someone (who made a sincere, innocent mistake) to worship a physical being that is not mentioned in the psukim (by this I mean to exclude the sun, stars, etc.) and say that this is the corporeal Hashem. According to you, this would not be avoda zara beshogeg, since the worshipper considers the being to truly be Hashem. According to you, it's no different than mistaking the deity's position on Zionism. Now I think you'd be very hard pressed to find any of Chazal, etc. who would agree with that. It's clearly a case of avoda zara beshogeg. And so, therefore, would be one who worships a corporeal deity, if in fact corporealism is truly incorrect. If all of this is true, then Rashi's concept of corporealism, if corporealism is in fact wrong, would be avoda zara beshogeg. What I meant was that from the way that Ramban writes to corporealists and about this belief, it seems pretty clear that while he holds it to be a grievous error, he does not believe it to be avodah zarah. Do you honestly believe that one of the Baalei Tosafos was an oved avodah zarah? No wonder you're using a pseudonym. I have one more question for you. What do you believe happens in the next world for someone who is oved avodah zarah (b'shogeg)? "What I meant was that from the way that Ramban writes to corporealists and about this belief, it seems pretty clear that while he holds it to be a grievous error, he does not believe it to be avodah zarah." I don't know where you get this from, other than a feeling that you have. Ramban exhorts the people to abandon their view because, he says, it is contrary to the fundamentals of Judaism as explained by the sages throughout Jewish history. What is your basis to infer from this that he doesn't believe their view to be avoda zara beshogeg? "Do you honestly believe that one of the Baalei Tosafos was an oved avodah zarah?" I assume that you are referring to R. Moshe Taku. If so, then the immediate answer to your question is - yes, beshogeg. But this is not MY opinion by itself; Rambam says that one who maintains the position of R. Moshe Taku has no share in the world to come. Raavad says that he does have a share in the world to come, despite the fact that he (one who holds R. Moshe Taku's position) is absolutely wrong in doing so. Both sides agree that the person is worshipping something that is not truly Hashem, even though the worshipper mistakenly thinks it to be. I am somewhat surprised at your question altogether. Are you maintaining that by definition whatever one of the Baalei Hatosafot does cannot be a sin beshogeg? Would you say the same of the Gedolei Hador in the midbar, who were greater than the Baalei Hatosafot and yet sinned? This seems strange coming from someone who has espoused the positions that you have. "I have one more question for you. What do you believe happens in the next world for someone who is oved avodah zarah (b'shogeg)?" I believe that in this world he is chayav a korban, and must do teshuva. I have no idea what happens to him in the world to come - it is a machloket rishonim, about which who am I to decide? Rabbi Slifkin, I notice that in your response, you did not address at all the issue that I raised, and instead you reacted (rather viscerally). Can you please address the question - is it not the case that following your claim to its logical conclusion you are claiming Rashi to have been an oved avoda zara beshogeg? If Ramban felt that corporealism was avodah zarah, then he would surely say so in a letter exhorting people against it! It's Rambam's opinion and nobody elses. On what basis do you choose Rambam? It is NOT Raavad's view. Nowhere does Raavad state that if someone has the wrong conception of Hashem, this is avodah zarah. On the contrary - if he did hold this way, then why would he say, "why would a corporealist be considered a heretic"? Are you maintaining that by definition whatever one of the Baalei Hatosafot does cannot be a sin beshogeg? I am saying that nobody today would rate them as ovdei avodah zarah. I challenge you to publicly state this, in print, under your real name. Write a letter to Hakira declaring R. Moshe Taku to be an oved avodah zarah. Yes I did! I said that corporealism is not avodah zarah, it's merely the wrong image of Hashem. Likewise, for the corporealists, the incorporealists are not ovdei avodah zarah. Avoda zara be-shogeg? Are children oved avoda zara be-shogeg because they just can't help picturing Hashem with a beard? Frankly, the Rambam himself never explained that failure to conceive of God in his terms is avoda zara. From what you maintain, it would be possible for someone (who made a sincere, innocent mistake) to worship a physical being that is not mentioned in the psukim (by this I mean to exclude the sun, stars, etc.) and say that this is the corporeal Hashem. According to you, this would not be avoda zara beshogeg, since the worshipper considers the being to truly be Hashem. So if I bow down to a cloud, for example, and worship it thinking that it is Hashem due to an innocent mistake, according to you this would not be avoda zara beshogeg since I believe it to be Hashem. Is that correct? By the way, check out Shu"t Divrei Yetziv (the Klausenburger Rebbe, zt"l, and founder of Mifal Hashas) Yoreh De-ah siman 40, who openly states that one who attributes corporeality to Hashem is an oved avoda zara. I guess it's not just me. It's a silly example, because a cloud is so obviously not a god. How about if someone believes that God is a physical but omnipotent entity above the sky that created the universe. I don't think that's avodah zarah. Tell me, if someone thinks that Hashem has emotions, do you consider them to be ovdei avodah zarah? THanks for the reference, by the way, I'll try to check it out. You'll forgive me for not taking your word for it, but earlier you claimed that Raavad "clearly" views such a person as an oved avodah zarah, which to me is "clearly" not the case. "It's a silly example, because a cloud is so obviously not a god." Silly to you. Obviously not silly to the worshipper. The worshipper could well think that the cloud is omnipotent, created the world, etc. It is silly, to me, that someone would think that Hashem is a giant person in the sky with huge hands, feet, a belly, a nose, etc., but obviously not silly to the worshipper. Why is your yardstick of "silly" the determining factor here? So I ask yet again, what basis is there to say that if someone worships a corporeal being claiming it to be Hashem, like, for example the case of the cloud, that this not be avoda zara beshogeg (assuming that corporealism cannot in reality be true)? "Tell me, if someone thinks that Hashem has emotions, do you consider them to be ovdei avodah zarah?" Tell me, why do you keep asking me questions that call upon me to decide in the matter of a machloket rishonim? Yisrael B'sari, why not reply to my question ("are children over on avoda zara be-shogeg") rather than first asking one of me? However, my reply would be that worshiping images or things is avoda zara, as many pesukim attest. Corporealism isn't the notion that a particular created or physical thing is God. The Rambam is not inveighing against a man who thinks his lawn mower is God, and the Ravad is not defending that man. "Corporealism isn't the notion that a particular...physical thing is God." Uh, yes it is. Corporealism is the notion that G-d is corporeal, i.e., has physicality. So if you think that G-d is this huge body in the sky, and I think that G-d is a cloud, and we both think that each of our "G-ds" is omnipotent and created the universe, and we each worship his "G-d", then we are both proponents of corporealism. "Are children oved avoda zara be-shogeg because they just can't help picturing Hashem with a beard?" Even Rambam says that people begin life with the most concrete of images and progress to abstraction. So when they are in the concrete stage, they cannot help but have any concept other than a concrete one. This is not shogeg, it is oneis. If one cannot help but make a mistake because doing the right thing is utterly beyond his capability, it is oneis, not shogeg. Now, what exactly is your point? "I think what you meant to say was that YOU have no doubt about them meaning this. Others, such as R. Moshe Taku and the other corporealists, interpreted it to mean that although God has form, we didn't see it. Do you think that they didn't know Chumash??!!" Using your own “argument from silence” – if Rashi really did believe that Hashem is corporeal, as you theorize, then wouldn’t it be incumbent upon him to comment on these verses and explain how they do not contradict this? Certainly the plain meaning is not just that Hashem is not visible, but that indeed He has no “form” at all? Since Rashi doesn’t “explain” any of this, doesn’t it indicate he accepts that Hashem has no “form”? As for the others, “R. Moshe Taku and the other corporealists,” I don’t realy know whether or not they commented on these verses or how they interpreted them (do you?). Actually, I don’t really care about what these others thought, in my mind they are insignificant. They are certainly not Rashi, or anywhere near his level! Why do you keep insisting that what Rashi held must be equal to what they held? BTW, please note that this is actually not from Berachos 6a, it is from Berachos 7a. In your article you never returned to discuss the idea of Hashem “wearing tefillin” to insist that this too was meant literally. My question for you now is, if you really feel that Rashi understands this idea literally, as you state here in your response to me, then why did you not indicate clearly that this was your position in your original article? If I can answer for S., he was not saying that corporealism is not that God is physical. He was saying that it is not that a particular object/ being that we recognize in the universe is God. Corporealism is not that the lamp-post outside my house is God. Using your own “argument from silence” – if Rashi really did believe that Hashem is corporeal, as you theorize, then wouldn’t it be incumbent upon him to comment on these verses and explain how they do not contradict this? Certainly the plain meaning is not just that Hashem is not visible, but that indeed He has no “form” at all? That is only the plain meaning to you because you are not a corporealist. If you were, and had never heard of a different perspective, you wouldn't say that. Furthermore, as I explain in my latest article, Rashi understood that at Sinai we were able to see certain parts of the heavens, but not the part where God resides. Actually, I don’t really care about what these others thought, in my mind they are insignificant. They are certainly not Rashi, or anywhere near his level! What is your basis for saying that? I think that Rashi understood it literally because of what he writes elsewhere, but I can't use it to PROVE that he interpreted it literally. You were claiming that it is obvious that it is not literal, and I asked you to prove that. "If I can answer for S., he was not saying that corporealism is not that God is physical. He was saying that it is not that a particular object/ being that we recognize in the universe is God. Corporealism is not that the lamp-post outside my house is God." I do not understand this. While it is true that corporealism is not LIMITED to the notion that the lamp post outside my house (or any other familiar object) is "G-d" - it is also true that my thinking that a physical being is "G-d" is subsumed within the definition of corporealism. And so, if I believe that G-d is really something that looks like a cloud outside, that in fact fits into the principle of corporealism. Your distinction between "a being that we recognize" (as included within the definition of corporealism) versus a physical being that we don't recognize (as not included within the definition of corporealism) is arbitrary and without basis - unless you can demonstrate otherwise from the classical sources. I still await an answer to my question: Based upon my "cloud" example, is there ANY person from among Chazal, the rishonim, etc. who maintain that worshipping a corporeal entity, thinking that it is Hashem, would NOT be avoda zara beshogeg? You were right on this citation, I was wrong. The discussion of Hashem wearing Tefillin is on Berachos 6a. The discussion of Hashem showing the knot of Tefillin to Moshe Rabbeinu is on Berachos 7a. My apology for being too hasty on this. >Uh, yes it is. Corporealism is the notion that G-d is corporeal, i.e., has physicality. So if you think that G-d is this huge body in the sky, and I think that G-d is a cloud, and we both think that each of our "G-ds" is omnipotent and created the universe, and we each worship his "G-d", then we are both proponents of corporealism. As I said, worship of idols and created bodies are explicitly regarded as avoda zara in the Torah. Corporealism in the sense we're discussing here merely means that one regards God as in possession of some kind of physical existence. If corporealism can also devolve into idolatry, so can non-corporealism. As Rabbi Slifkin clarified in support of my view, no one is suggesting that someone who believes that when the Torah writes that God has a strong hand it means it, that he regards his dog as God. Sure, in theory someone might make that mistake, but that's not the mistake of corporealism. >Even Rambam says that people begin life with the most concrete of images and progress to abstraction. So when they are in the concrete stage, they cannot help but have any concept other than a concrete one. This is not shogeg, it is oneis. If one cannot help but make a mistake because doing the right thing is utterly beyond his capability, it is oneis, not shogeg. Now, what exactly is your point? You seem to be propounding a rather novel idea, namely that believing children worship avoda zara, albeit they're an onas. I don't think this view can be ascribed to the Rambam or anyone else. "As I said, worship of idols and created bodies are explicitly regarded as avoda zara in the Torah. Corporealism in the sense we're discussing here merely means that one regards God as in possession of some kind of physical existence...If corporealism can also devolve into idolatry, so can non-corporealism..."
Again, I have no idea where you get this distinction from - it is totally artificial and arbitrary. Corporealism does not DEVOLVE into idolatry; it IS idolatry (assuming that corporealism in in reality false as R. Bahya et al have demonstrated). If I worship a being that is not Hashem, I am oved avoda zara. If corporealism is in reality false, then if the being that I worship (thinking it to be Hashem) is corporeal, then it is in fact not Hashem, and I am oved avoda zara. Can you please point to any classical source that draws the distinction that you do? I can well understand why you keep trying to go down this road - because you are uncomfortable with the implication that viewing Rashi as a corporealist is the same as saying that Rashi was an oved avoda zara beshogeg, but you're hiding behind a distinction that exists only in your imagination. "You seem to be propounding a rather novel idea, namely that believing children worship avoda zara, albeit they're an onas. I don't think this view can be ascribed to the Rambam or anyone else." Really? What is your source for saying so? Do you maintain that if an adult imagines G-d to be an old man with a beard and prays to that old man, that that is NOT avoda zara (leaving aside the issue of olam haba, which is a machloket)? It clearly IS avoda zara. So why should the view of a child, which is exactly the same as the view of the aforementioned adult NOT be avoda zara? Where does your distinction come from? Of course, the child is not at fault at all - he is an oneis - and in fact he must proceed along that path to get to a true concept of Hashem, since a human being goes from concrete to abstract. Where do you get the notion that NO ONE would agree to this view? On the contrary - based upon my argument above, the logic shows that all classical sources would agree. The burden of proof is upon you to show that classical sources draw a distinction between the corporealism of a child vs. that of an adult. I await seeing any sources you can bring to support your view. (Levi Lachm:) Of course, you would agree, the Torah does NOT maintain that the earth is in reality motionless, or that the kidneys are in reality the seat of decision making. This is because it is out of the question that the Torah could maintain a false scientific fact, or a logical impossibility, to be true in reality (since the Torah is God’s complete wisdom). (Rabbi Slifkin:) Please stop saying that I would agree with that which I keep saying I do not agree with! You refer to Torah as though it is some sort of Being. It's not. It's a text. It doesn't "maintain beliefs." It presents ideas, messages, etc. It presents false scientific facts, because they suit its purposes. I don't see any way in which it is meaningful to say that "the Torah does NOT maintain that the earth is in reality motionless, or that the kidneys are in reality the seat of decision making." Hashem doesn't believe that, but the Torah certainly presents that information. I apologize for my presumption; I had no intention to misrepresent your views. Clearly, we must have been using the word “Torah” in two different senses. Let’s leave that aspect and get directly to the point, though. When the Hashem commands us in the Torah, “You shall not have any deities other than Me [God],” whom is He referring to when he talks about “Me [God]”? It is clear that he is talking about (Himself,) the God who exists in reality. A phenomenon whose existence presents a logical contradiction cannot exist in reality. As Bahya ibn Paquda shows, a corporeal god presents a logical contradiction. A corporeal god therefore cannot exist in reality. When the pasuk, quoted in the previous paragraph, refers to the “Me [God]” who exists in reality, it therefore cannot be referring to a corporeal god. The pasuk must therefore be referring to an incorporeal God. The pasuk is thereby saying, “You shall not have any deities other than Me – the incorporeal God.” A corporeal god, by definition distinct from an incorporeal One, would be such a deity. Positing that Rashi believed in a corporeal god would thus dictate that Rashi violated the Aseret Hadibrot beshogeg. Very few people would maintain that if someone has the wrong conception of Hashem, then this means that they are worshiping a deity other than Hashem. It's very clear from how Ramban and Raavad etc. speak about corporealists that they did not consider them to be ovdei avodah zarah. Thanks again for your continued responses. Also, you wrote regarding the Raavad that it’s very clear from how Raavad speaks about corporealists that he did not consider them to be ovdei avodah zarah! Where exactly is this “very clear”? Regarding the Raavad, please see the Rambam in Yesodei HaTorah 1:1-6, culminating in Halacha 6 (Halacha 4 in the Mechon Mamre breakup). The Rambam writes that anyone who considers that there is a god other than the First Cause violates “Lo Yihyeh Lecha.” Afterwards, in Halacha 7 (Mechon Mamre 6), the Rambam states that anything that has a body (i.e. is corporeal) must ultimately stop existing. Anything that must stop existing cannot be a Necessary Existence, and therefore cannot be a First Cause. A corporeal god, which must stop existing (as mentioned a moment ago,) therefore cannot be a First Cause. Therefore, a belief in a corporeal god would be a belief in a god other than the First Cause, which (as I also just mentioned), the Rambam holds is a violation of Lo Yihyeh Lecha. The Raavad doesn’t make any comment on any of these Rambams. This, as a rule, clearly shows that he agrees. Therefore, the Raavad actually holds, very clearly, that someone who believes in a corporeal god violates Lo Yihyeh Lecha. Additionally, please see the famous Raavad on Hilchos Teshuva, where the Raavad states that someone who believes in a corporeal god due to a misinterpretation of pesukim is not a min. By your own logic, if the Raavad held that such a person did not violate Avoda Zarah, he should have written “Why would we call such a person a min? This is not even Avoda Zarah!” Again, we see that the Raavad holds that someone who worships a corporeal god violates Avodah Zarah. According to you, wasn’t it Rashi’s goal in his commentary to educate people like me, and present us with this revolutionary perspective that Hashem really does have a body? Why didn’t he explain this to me and the rest of Israel so we would know this fundamental truth? Could he assume we would understand this on our own, especially as all recognized Jewish authorities until his time explained things not like this? Why didn’t he straighten us out about this supposed truth of Hashem’s corporeality? You continued: “Furthermore, as I explain in my latest article, Rashi understood that at Sinai we were able to see certain parts of the heavens, but not the part where God resides. I will try to eventually read a copy of your second article where you elaborate on this, but as far as I’m concerned your ideas are getting more absurd and bizarre by the moment. Maybe I was being hasty and insensitive to say this, these others after all were fellow Jews. However, it is bizarre of you to suggest that they are comparable to Rashi. Can you possibly be serious about this? Sorry, it’s very difficult for me to imagine that anyone can think that this idea was really meant to be taken literally and not figuratively. Such an idea is totally bizarre. Can you find me even one scholar who clearly writes and interprets this saying of our sages to be completely literal? Perhaps someone like R. Moshe Taku? Even that I doubt very much. I think you are on very thin ice to suggest such a thing. We still haven't heard the name of the letter writer whom you quoted from at the beginning of the post. Has this scholar ever shared with you his insight into either Rashi’s commentary on Talmud or Chumash, and why he believes Rashi was “a through and through corporealist”? Can either he or you please share with us any of Rashi’s comments that he found to be corporealistic, and what his reasoning is? He also wrote: "Then Lorberbaum and Friedman articulated it for academic-types." Again, I’m curious, aren’t these academics among the ones whom you disputed at the beginning of your Hakirah article? (Sorry, I haven’t heard of them before.) Does your magid shiur admirer agree with Lorberman and Friedman or with you? Or is he just cheering on anyone who attempts to criticize Rashi and paint him with the “corporealist” label regardless of whether or not their arguments are sound? No disrespect intended, but that is how it appears. Please explain. Stop imposing Rambam's approach upon Judaism as a whole! The fact that you see incorporeality as fundamental to the very definition of God does not mean that everyone else viewed it that way! I asked you earlier, and you did not respond: If corporealism is avodah zarah, why did Raavad ask why a corporealist should be called a min? You’re saying here that the Ramban should have specifically called corporealism by the words “avodah zarah” in a letter that he wrote, where he ALREADY wrote that it went against the foundations of Judaism. With all due respect, who precisely are you to dictate exactly how the Ramban should write? You substituted "should" where I wrote "would." Since avodah zarah is THE cardinal sin, I think that it is reasonable to assume that Ramban would mention that in a long statement against corporealism. The fact that he doesn't indicates that he did not hold it to be avodah zarah. Why should he write that? Rambam says that such a person is a min, and Raavad says No he isn't. Your deduction is baseless - and you describe it as "we SEE"! This may be "very clear" to you, but not to me. Have you read Twersky's book on Raavad? There's no way that you can make your deduction. According to you, wasn’t it Rashi’s goal in his commentary to educate people like me, and present us with this revolutionary perspective that Hashem really does have a body? I realize that you don't understand what I am saying at all. Rashi did not see this as a revolutionary perspective! He saw it is pashut pshat, and the mesorah. Could he assume we would understand this on our own, especially as all recognized Jewish authorities until his time explained things not like this? Name one authority that Rashi would have known as being an incorporealist. it is bizarre of you to suggest that they are comparable to Rashi. Can you possibly be serious about this? Yes, of course. What is your evidence that the baalei Tosafos were not "anywhere near on Rashi's level"? Sorry, it’s very difficult for me to imagine that anyone can think that this idea (of God's Tefillin) was really meant to be taken literally and not figuratively. Such an idea is totally bizarre. Can you find me even one scholar who clearly writes and interprets this saying of our sages to be completely literal? Perhaps someone like R. Moshe Taku? R. Moshe Taku says it. The fact that you can't even imagine it shows how far removed you are from the historical reality of corporealist beliefs - hence it is impossible for you to conceive that Rashi could possibly have been a corporealist. Hence this discussion is pretty much a waste of time. I wrote to him. He's not shy of his beliefs, but he doesn't want his name to be posted here and become a target for crazy people. Okay, that's it for the comments on this post. Levi, Moshe, if you are really interested in understanding this topic, I recommend that you read Ksav Tamim and, of course, my article in Hakirah. Aside from this discussion becoming repetitive and futile, there's really not much point if you haven't read the two main relevant texts. With all of the back-and-forth over the past day or so, I must point out again that neither you nor "S" have responded to my question. You wrote to Levi Lachmi asking him to "Stop imposing Rambam's approach upon Judaism as a whole! The fact that you see incorporeality as fundamental to the very definition of God does not mean that everyone else viewed it that way!" So, assuming that the proofs are valid and sound, this means that a corporeal god, even if thought to be G-d, is in fact another deity. Someone who worships another deity is guilty (albeit beshogeg in this case) of avoda zara. You and "S" claimed that there is a distinction between worshipping a lamp-post and thinking that G-d is corporeal. I have asked for a basis for this distinction; without a source, it is arbitrary and contrived. I await your response, and thank you in advance. I can hardly believe that no one actually quoted his book even once in all these discussions. Yisrael, I do not accept that it necessarily means that they are worshiping a different deity. It could easily be viewed as them worshipping God, but with a mistaken understanding of His nature. And I think that this is how Ramban and Raavad viewed it, based on how they discuss this position. Please see my latest post for an explanation of why I am not posting any more comments here.